Lindsay Johnston initiated the idea for the annual Glenn Murcutt Architecture Master Class in 2000, and the program has been held each year (except 2016) since 2001, and has attracted architects, academics and some senior students from about 80 nations around the world. 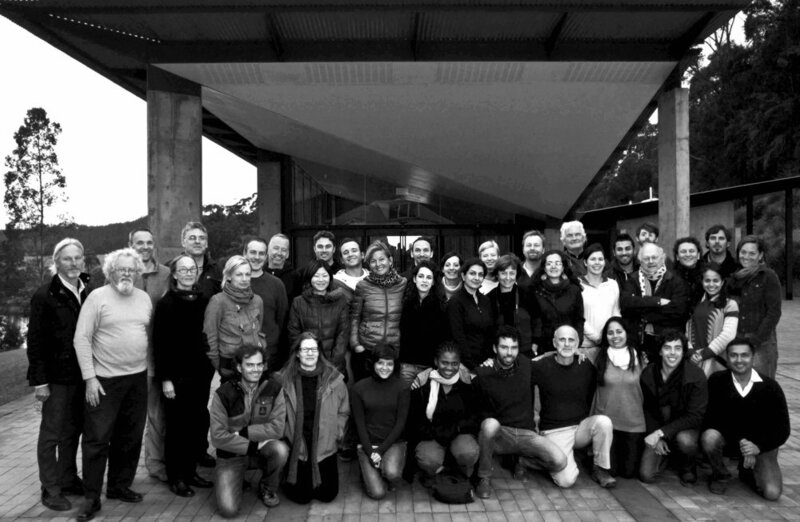 Originated in the School of Architecture at the University of Newcastle, Australia, when Lindsay Johnston was Dean of the Faculty of Architecture and Design, the Master Class was transferred to the newly formed Architecture Foundation Australia in 2004, and has been run independently since then. The Master Class is a two week residential studio based program led by Glenn Murcutt, and with other principal tutors Professor Brit Andresen, Richard Leplastrier and Peter Stutchbury - all Gold Medallists of the Australian Institute of Architects, and takes place each year at the Arthur and Yvonne Boyd Education Centre designed by Glenn Murcutt, Wendy Lewin and Reg Lark. Each year we have had the privilege of traditional welcome, a talk, and a walk in the landscape with Aboriginal elder Uncle Max Dulumunmun Harrison.